After working on my husband for a year, he finally ceded the point that conventional shoes are super uncomfortable. He’s tried and returned a bunch of different boots, and they all pinched his toes and were stiff AF. What can I say? 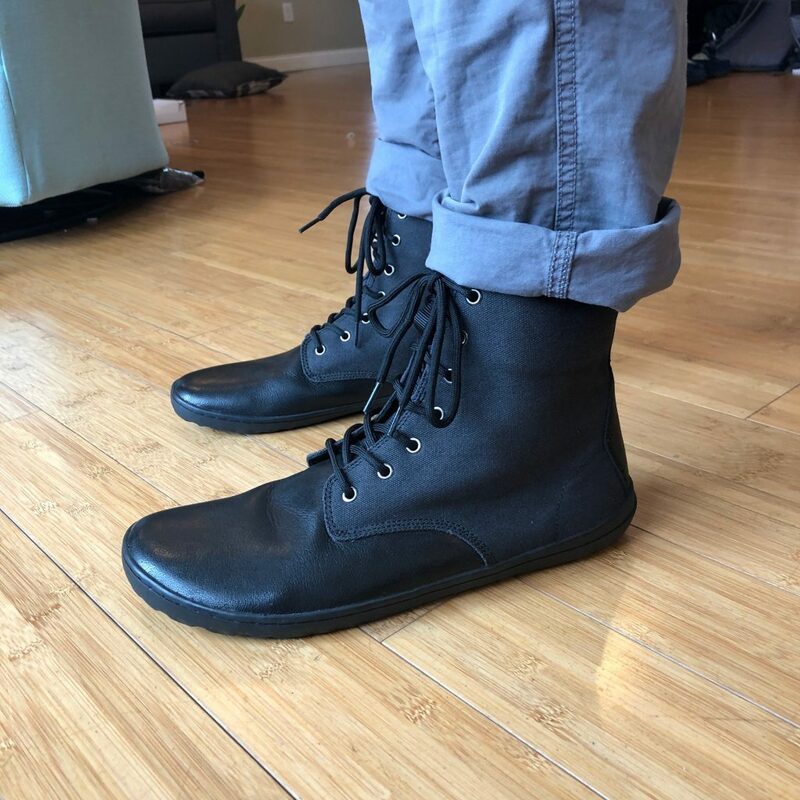 He’s been wearing Vans for years, but is needing something that looks a little nicer, yet still functional for a lot of walking in the elements. 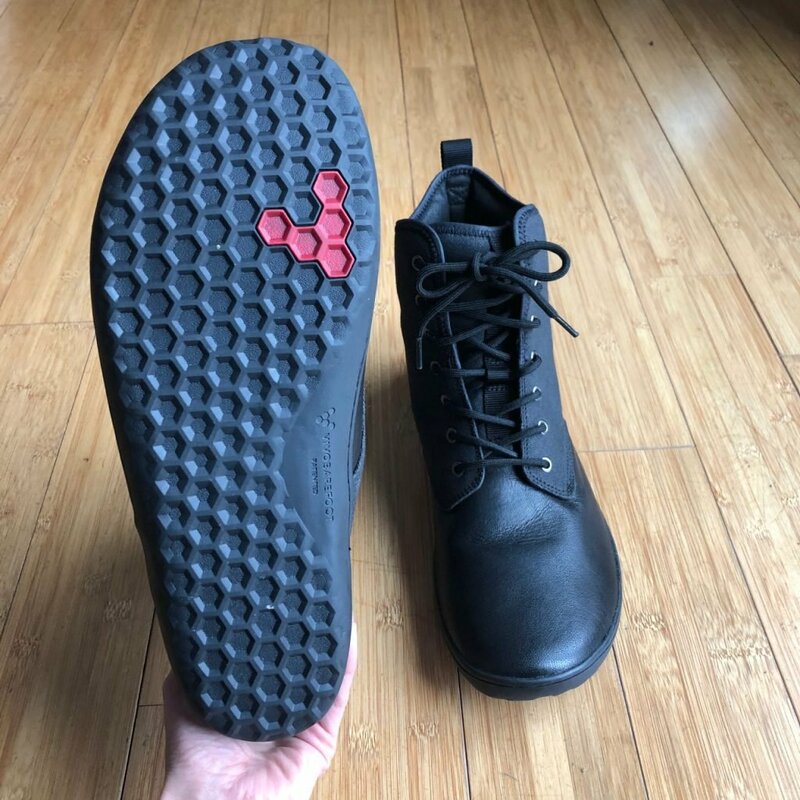 Enter Vivobarefoot’s Scott 2.0. 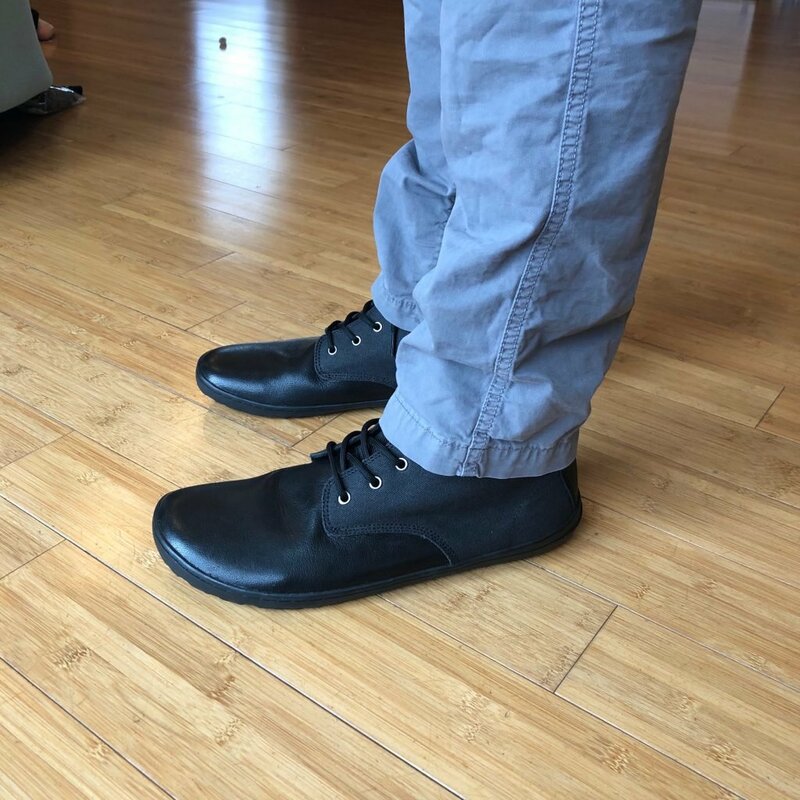 These are one of Vivobarefoot‘s most popular shoes. They look amazing, sort of a cross between High Top chucks, and Doc Martens. 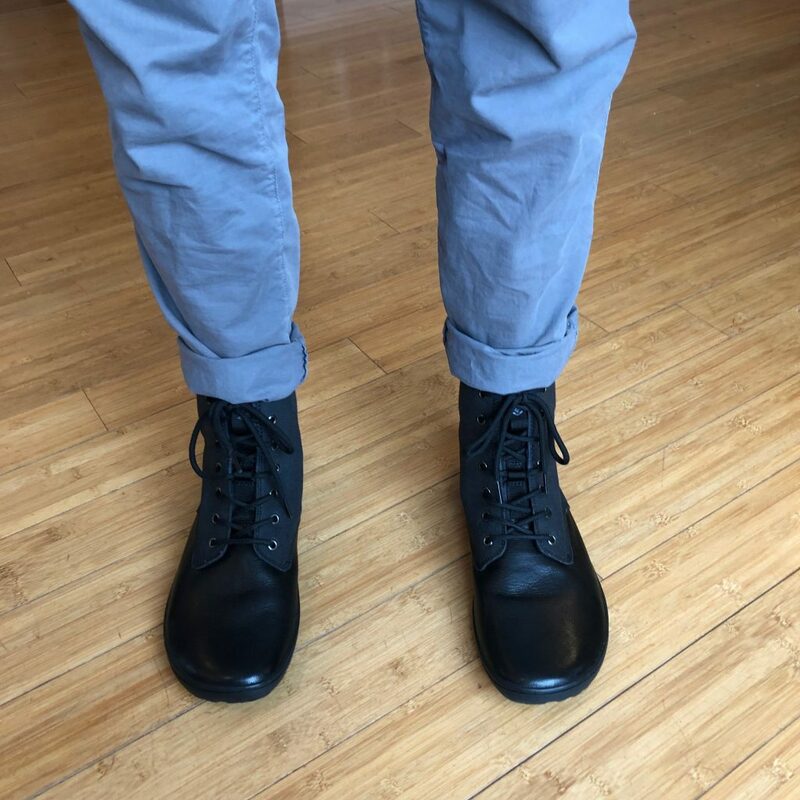 They pass for a nice dress shoe, but you can also wear them hiking and playing in the snow. 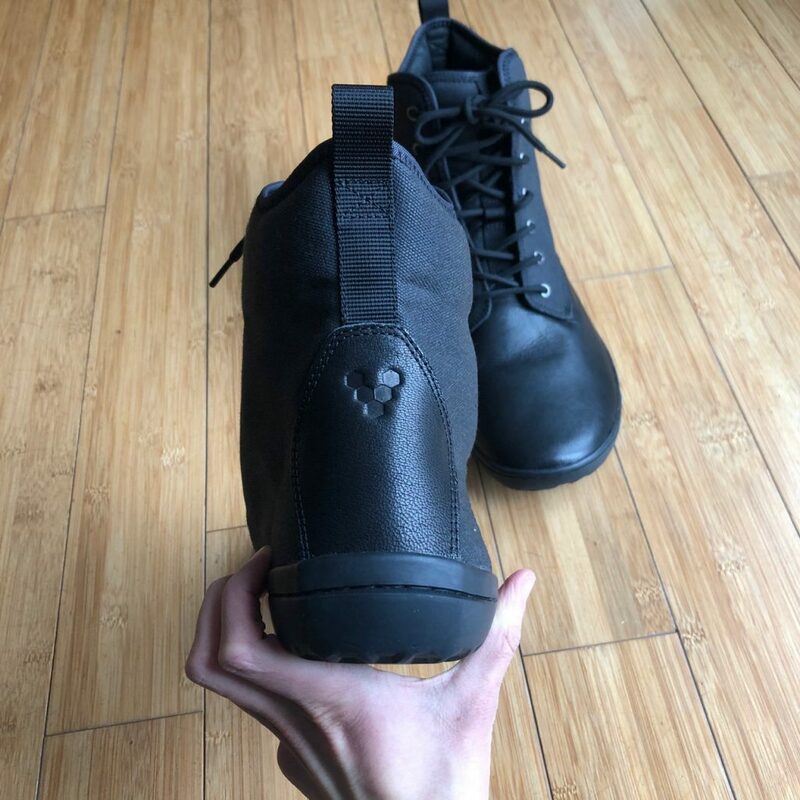 I have them in women’s and wear them exclusively as hiking/snow boots. 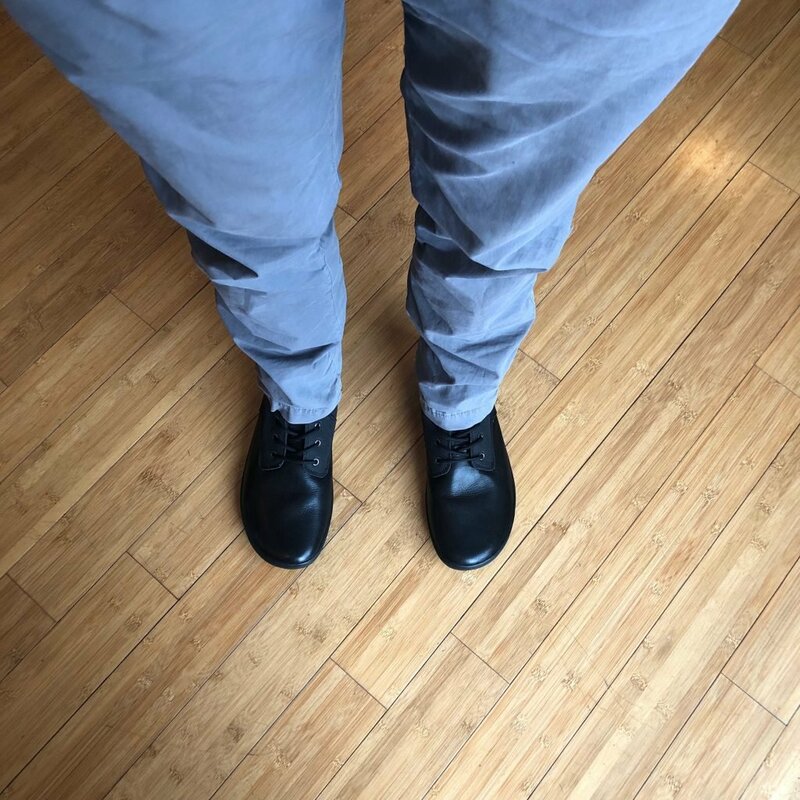 With your pants down over them they look like conventional dress shoes. The men’s Scott boot in dark brown and black have a leather toe and canvas on the sides. The all-leather version is a lighter tan color. This year, the Scott 2.0 boots don’t have a sherpa lining, instead there is a camel hide interior and fabric and canvas lining for warmth. My husband went back and forth a bit on the size, and ended up trying two sizes. He wears a 13 in Vans and was recommended a 12.5 by the FitFinder on VB’s site. 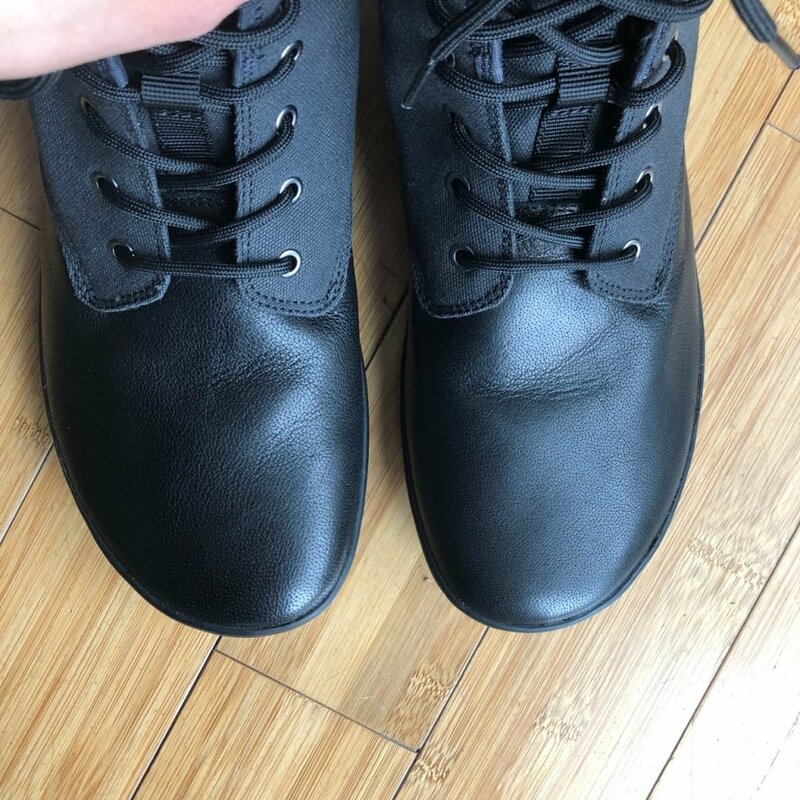 The 12.5s fit well everywhere but on one foot his 4th toe rubbed (the outside edge tapered too quickly for his long toes). 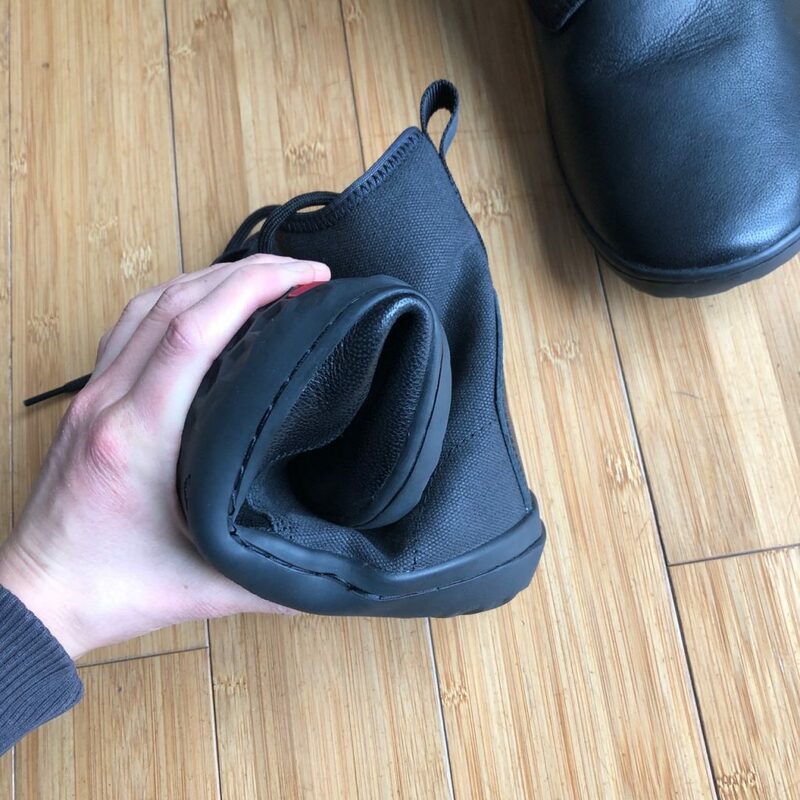 So he tried the 13s, which were too loose all over. Ultimately, he went back to the 12.5 and opted to wear regular socks with them (as opposed to wool). The size up would have worked with wool socks and a sheepskin insole, but then they wouldn’t have been as functional for every day wear. Fit wise, I wish the toe box was more spacious. If you intend to wear these as your winter boot, I highly recommend a sheepskin insole. Probably the main drawback to these boots is that your feet do get cold rather quickly. 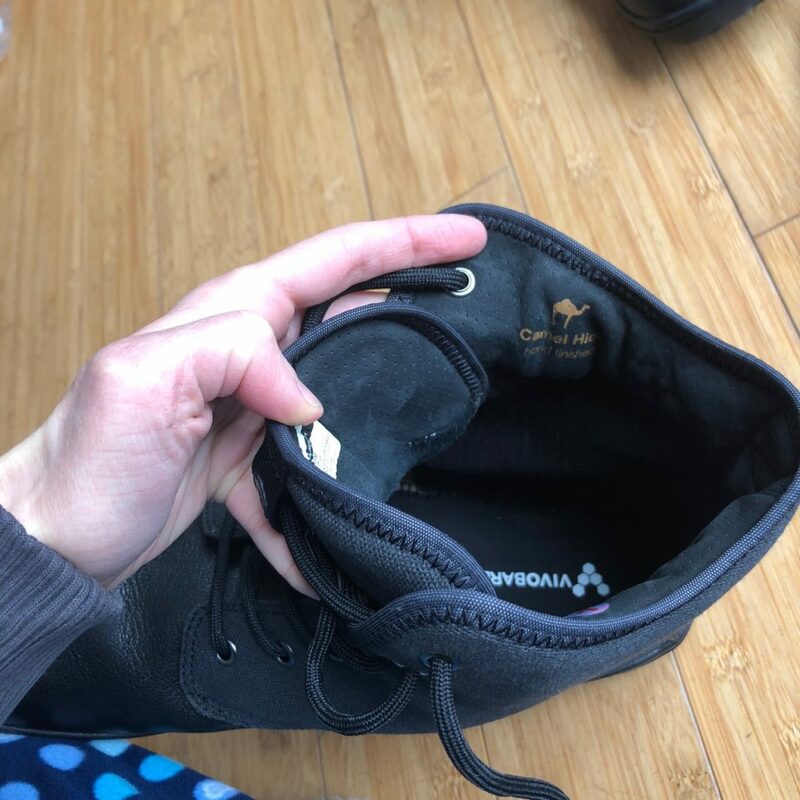 The thermal insole that comes with the boots definitely helps, but when you’re that close to the ground it’s inevitable to get cold in winter. Wearing an insole in mine this year has really helped. I find in my Gobi Hi Tops that lacing them all the way up restricts my ankles, so I only lace mine part way. My husband likes the laces all the way up, keeping his ankles secure (plus, they look awesome that way). They are advertised as being weatherproof and water resistant, but they’re pretty much waterproof. I wear mine in water all the time and rarely get my feet wet. After a while it’s a good idea to add a waterproofing agent since as the leather wears in it becomes more permeable. SnoSeal is the most effective waterproofer I’ve used, very heavy duty. 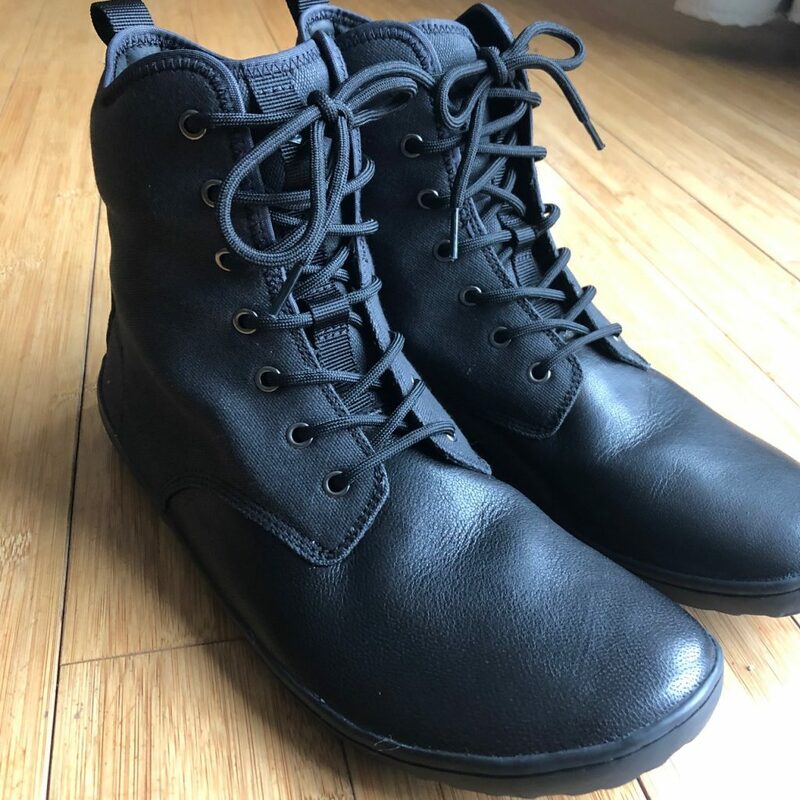 But Chamberlain‘s is my favorite because it is easy to apply, and doesn’t change the appearance of the leather too much. 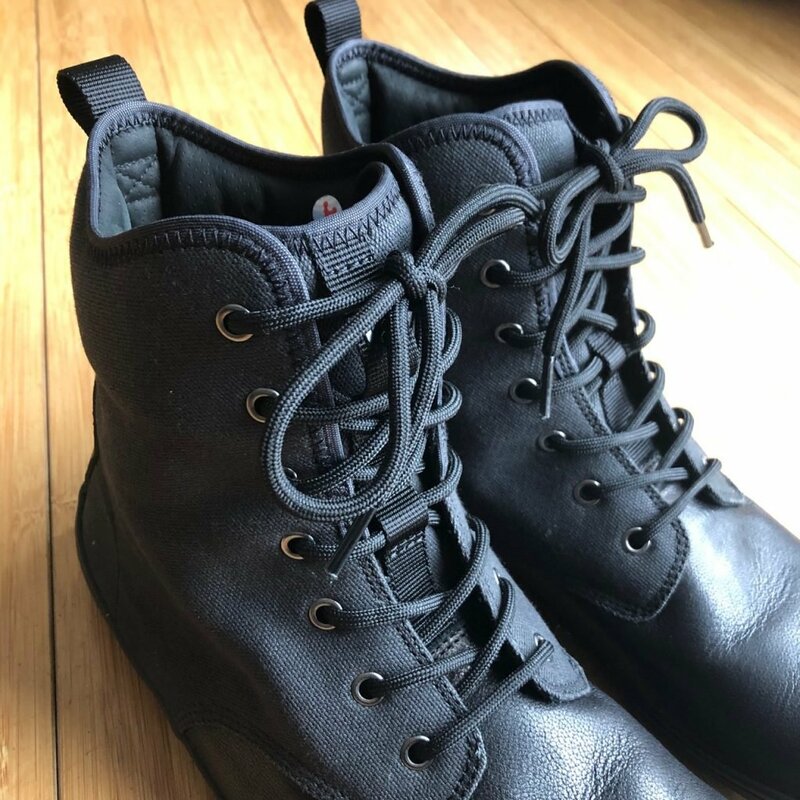 After winter, I also like to touch them up with the cleaner and conditioner by Chamberlain’s and sometimes Angelu’s shoe polish before putting mine away until next season. In conclusion, my husband and I both are very pleased with the aesthetics of the shoe. They are also lightweight, flexible, and spacious. 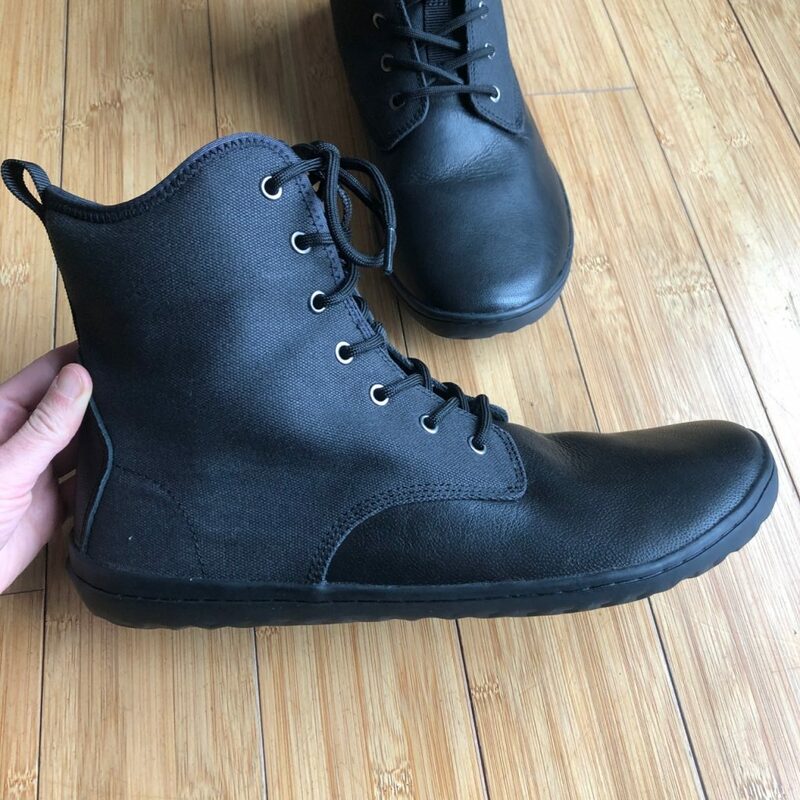 Ideally, there would be a less tapered toe box, but these are still very hard to beat in the realm of barefoot dress boots for men. 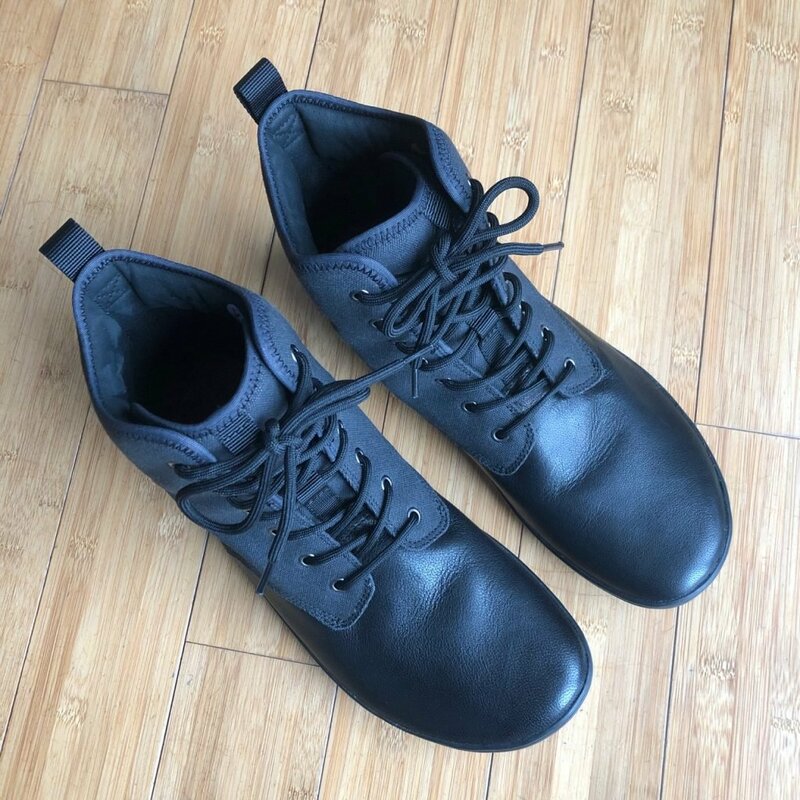 If you’re new to Vivobarefoot, use a referral link and get $30 off your first order! I’m also hoping for an end-of-season sale soon. 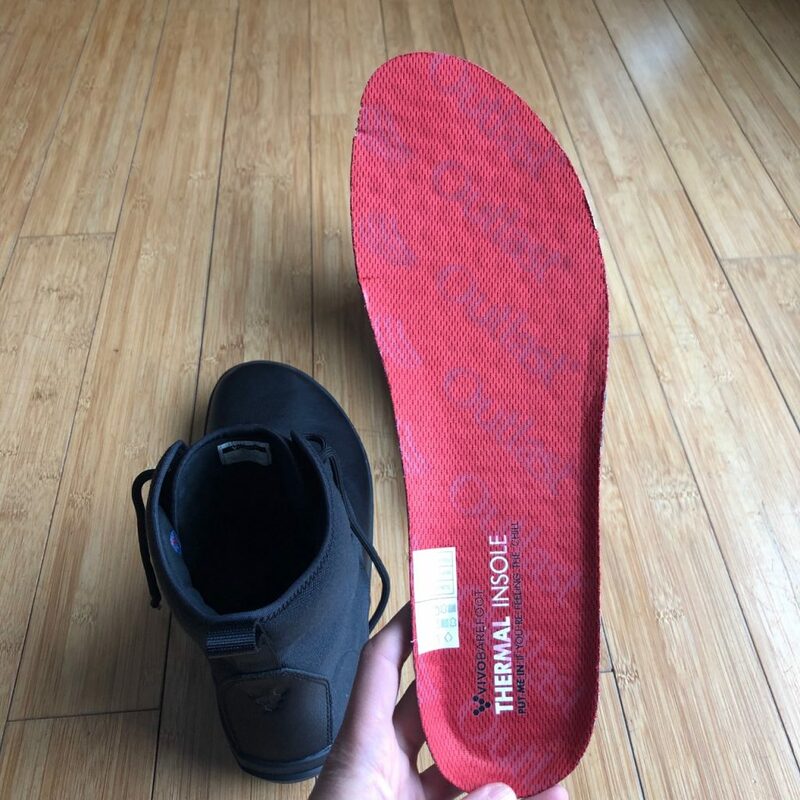 Also, don’t forget 3rd party vendors like NorthSole. They usually have good sales on Vivo products too! 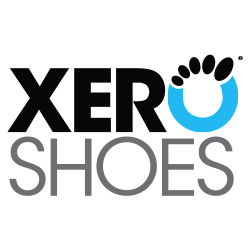 What men’s dress shoes have you found that fit a barefoot lifestyle?